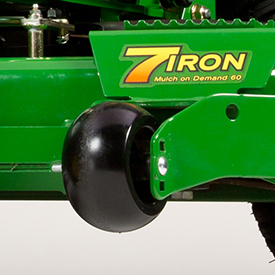 The ZTrak™ M and R Series Mowers are equipped with either a side-discharge or Mulch On Demand™ 7Iron PRO deck. 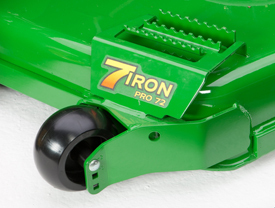 7Iron PRO mower decks have demonstrated quality, performance, and durability. 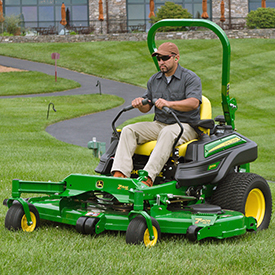 They deliver a high quality cut in diverse conditions. 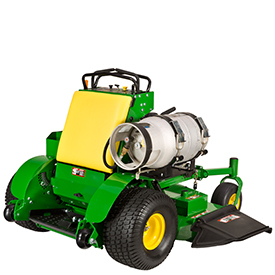 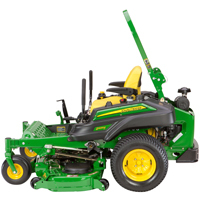 The MOD mower deck delivers unprecedented levels of productivity and versatility to commercial mower operation. 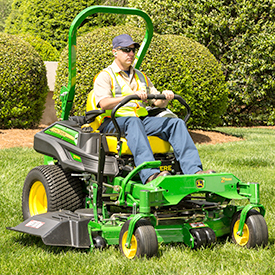 With the ability to switch between side discharge and mulching operation with the flip of a lever as the operator mows, keeping most clippings out of landscaping features and where they are wanted is extremely easy. 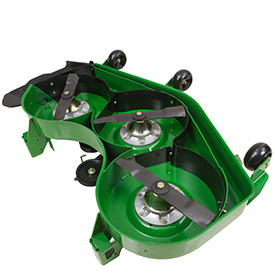 Deck can be converted from a wide-open side discharge mode to a fully chambered mulching mode with a single move of a lever. 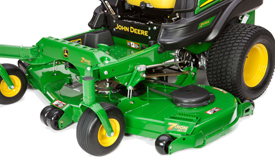 NOTE: MOD decks are a balance between a side discharge deck and a side discharge deck with a mulching kit. 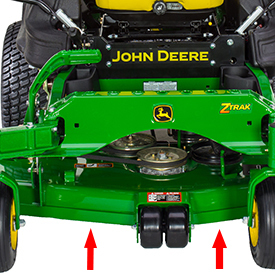 MOD decks are superior to aftermarket chute blockers due to the movable baffles. 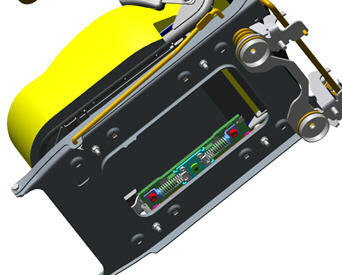 An optional altitude kit is required when operating at altitudes above 2000 ft (610 m). 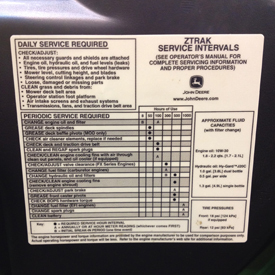 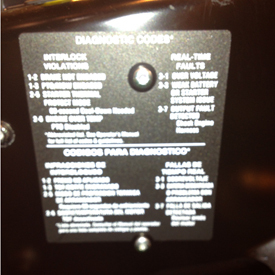 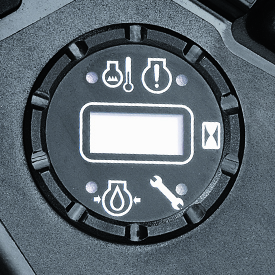 The operator’s manual provided with the propane conversion kit provides further details. 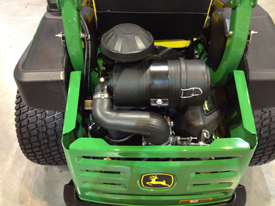 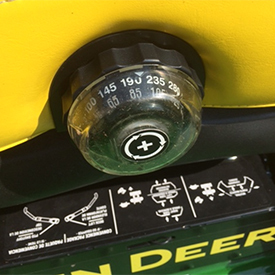 Parts must be ordered separately through John Deere Parts. 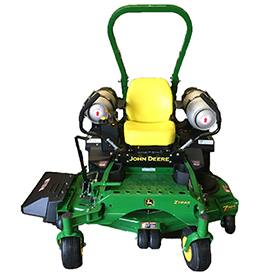 John Deere leads the commercial zero-turn mower industry with use of the Michelin X Tweel Turf technology for the ZTrak Z900 Series Mowers. 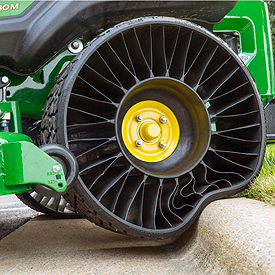 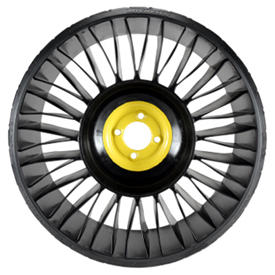 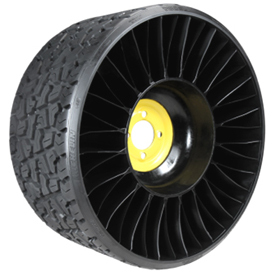 Excellent curb climbing is possilbe due to the Michelin X Tweel Turf construction and flexibility. Four-hole, heavy-duty steel hub easily bolts onto any 54-in. 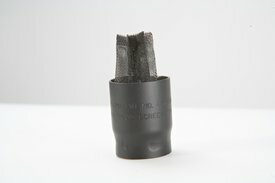 (137-cm), 60-in. 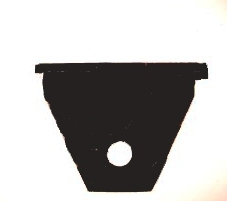 (152-cm), or 72-in. 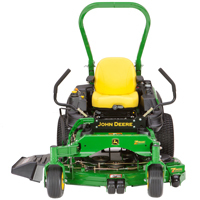 (183-cm) John Deere ZTrak 900 B/E/M/R Series Mower with 24x12-12 tires. 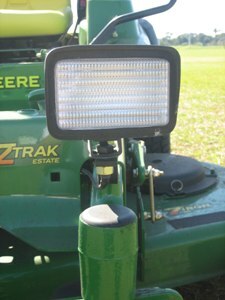 NOTE: Tweels are not compatible with the ZTrak Z997R Diesel. 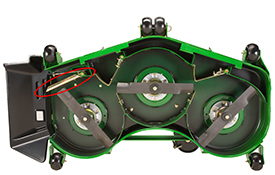 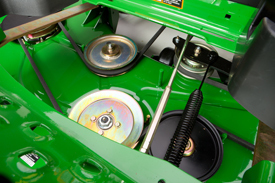 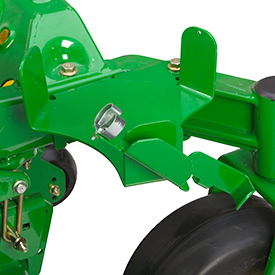 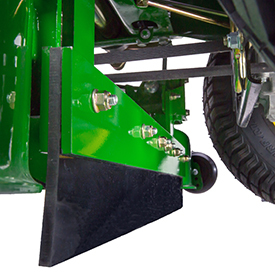 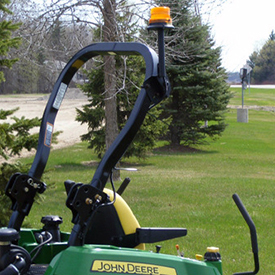 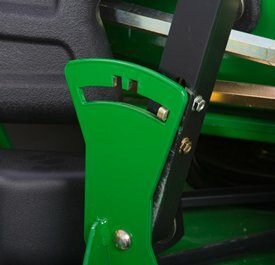 The jack for the mid-mount mower allows easy access to the underside of the mower for maintenance or blade changing while in the field. 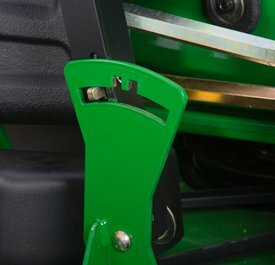 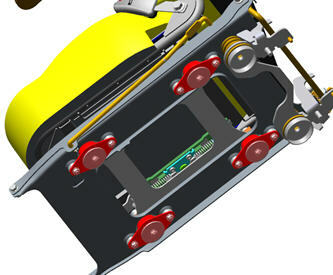 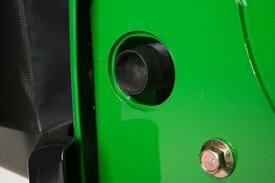 The kit contains everything necessary to install the jack onto the front of a mower. 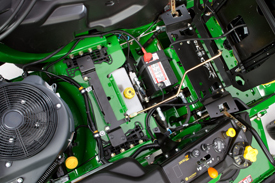 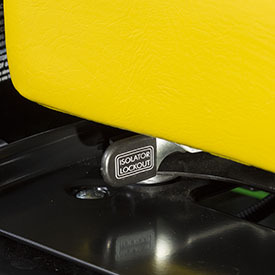 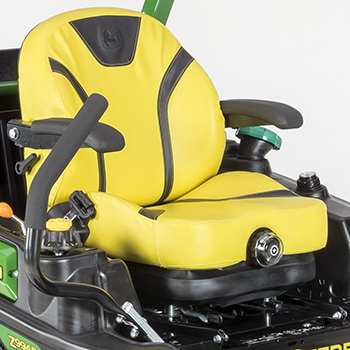 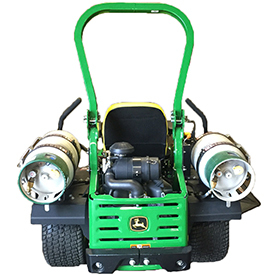 The field-installed isolated seat kit for the gas Z900 ZTrak Mowers provides operators with an improved ride and reduces operator fatigue when mowing for prolonged periods of time. 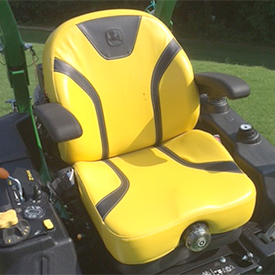 This is a dealer-installed kit that converts a base seat with no suspension to an isolated seat. 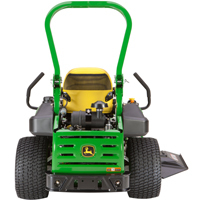 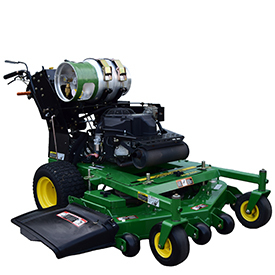 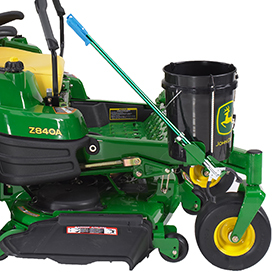 It is compatible with all model year 2015 and newer gas Z900 ZTrak Mowers with base seats that have no suspension and a serial number break of (30,000-). 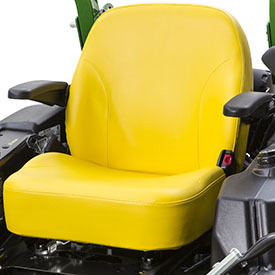 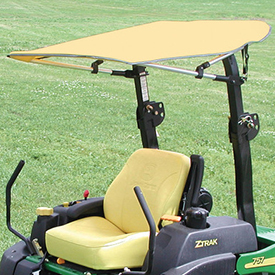 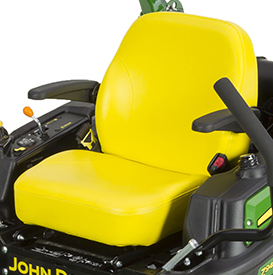 The field-installed suspension seat kit provides operators with maximum ride comfort and reduces operator fatigue when mowing for prolonged periods of time. 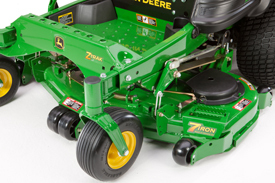 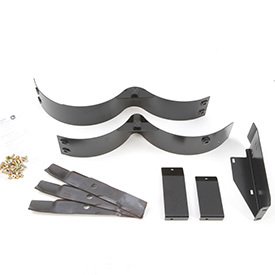 Striping kits are available for all B, E, M, and R Series Mowers. 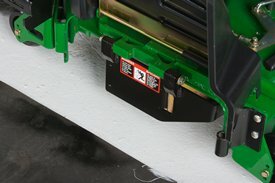 These kits utilize a rubber flap to achieve the striping effect on lawns. 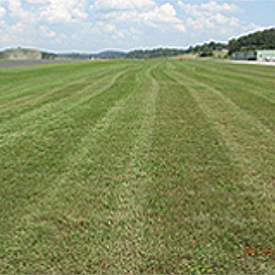 Different types of grass will stripe differently.